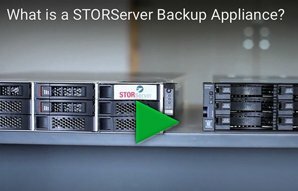 Spartanburg School District #2 chooses a STORServer Enterprise Backup Appliance for its “ease of use” and time saving features. Spartanburg School District #2 is a medium-sized school district of 14 schools located in Boiling Springs South Carolina, approximately 240 miles from the Atlantic coast. The IT environment requires the backup of servers at all 14 remote schools as well as the data center servers handling all aspects of district business (finance, transportation, administration, human resources, maintenance, etc.). The center requires about 25GB of data be backed up nightly. The data exists in the form of SQL databases, Oracle databases, text files, images, and video. Spartanburg’s inland location usually protects it from being hit directly from Atlantic hurricanes, though it often receives heavy rains due to passing tropical systems. They also face the same disaster scenarios that most centers face in terms of the potential for fire or inadvertently-deleted or corrupted data. The mission of Dayton Children’s Hospital in Ohio is to improve the health of all children through service, education, research and advocacy. One of the largest pediatric healthcare providers in the Miami Valley region, it has 155 beds with 250 physicians and 600 nurses who treat 290,000 children each year. It’s quickly gaining a national reputation with the Magnet® designation for excellence in nursing care, which only seven percent of health care organizations in the world attain. Using cutting edge technology to deliver better services is a core part of its vision to be the first choice for children’s health as an independent, locally-governed children’s hospital. Cooley Dickinson Hospital is nationally recognized as a top-performing hospital. As with all healthcare providers, Cooley Dickinson has zero tolerance for unplanned down time. The hospital requires around-the-clock access to all systems in order to provide the best patient care possible.